If there is one area of the field that Everton fans should not be particuarly worried about, it is the defence. 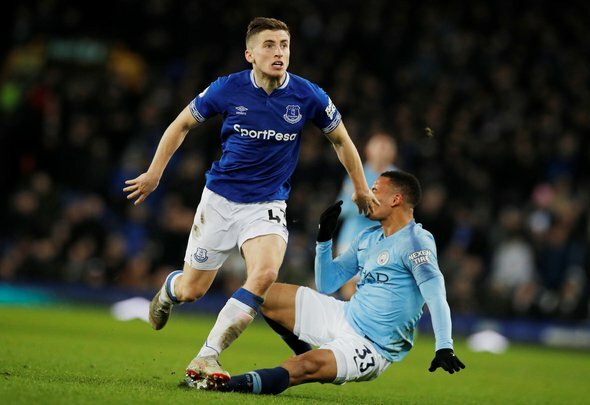 With the likes of Jonjoe Kenny, Seamus Coleman, Lucas Digne and Leighton Baines providing the reinforcements, you would think that the Toffees would be thinking about signing a striker in the summer rather than plotting a swoop for a defender. Well, prepare to be disappointed, as Everton are monitoring the situation of Paris Saint-Germain right-back Thomas Meunier according to Le 10 Sport, with a view to signing him at the end of the season. Many suppporters would no doubt be baffled why their club is seriously considering signing a player for a position that already has two players covering it. If anyone is to be worried though, it is Kenny and Coleman, as this interest could probably point to the fact that one of them could be heading for the exit door in the summer. Even if that is not that is not the case, their playing time could seriously be reduced if Everton do end up winning the race for his services – after all, why wouldn’t Marco Silva play someone who has plenty of experience in the Champions League over players who do not? Meunier is clearly a quality full-back, and the duo must surely be sweating at the prospect of him joining the club, and who can blame them? He has the ability to strengthen Silva’s defence considerably, but this would obviously be at the expense of Kenny or Coleman, both who have been decent this term. No player wants to be on the fringes and it is rather harsh considering the way the likes of Kenny have filled in admirably due to injuries. Either way, the defensive pair will surely be sweating buckets after this report, as Meunier joining could throw their Everton careers into serious doubt.